The Air Jordan 4 (IV) Retro in Black / Black – Cool Grey received the nickname Oreo around the release time due to the mixture of Grey and Black speckles on the mid sole. The release date for the Air Jordan 4 (IV) Retro Oreo was in November of 1999, and was one of the first Air Jordan 4 (IV) Retro’s to release. 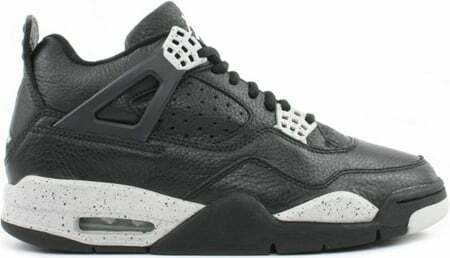 Retail for the Air Jordan 4 (IV) Retro Oreo was $100.